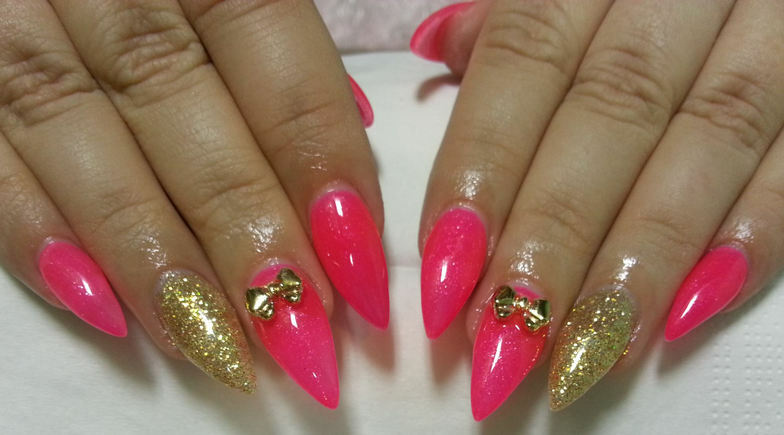 Glitters, only a word is needed to get a girl's attention. 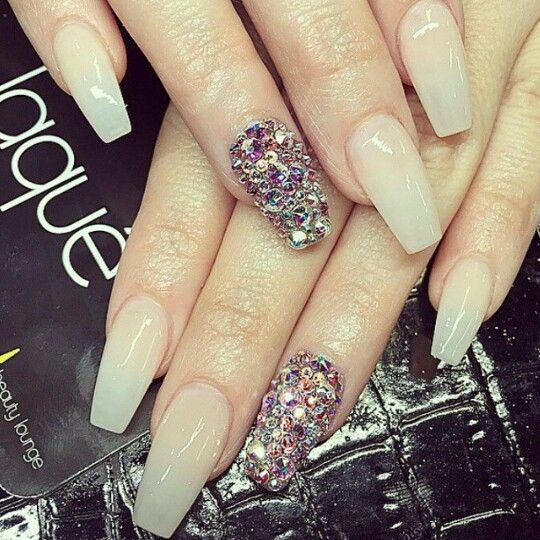 I love glitters or anything that glitters. Sequined tops, dresses, shoes, nails and hair accessories are my favorite. It is fascinating, mystical and captures one's attention. Glitter or stud nail art can make your nails stand out even while dressing up blandly. Although it is a bit difficult to take that glitter off once the polish starts chipping, but the hassle is worth it when people around you are mesmerized with your shiny nails. Here are some looks for you! 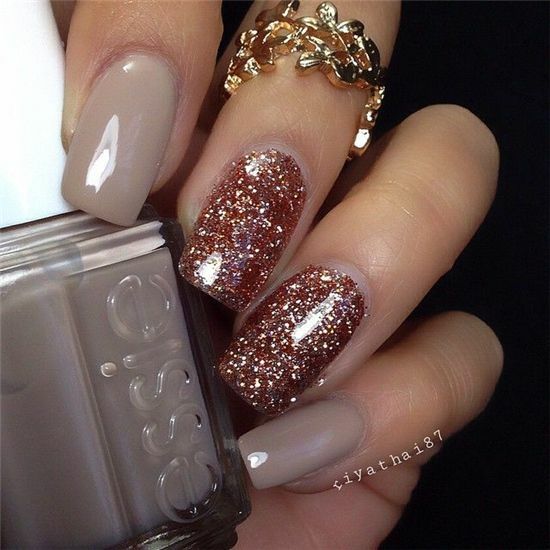 Glitter nails for every day! Stamping nail art with studs! 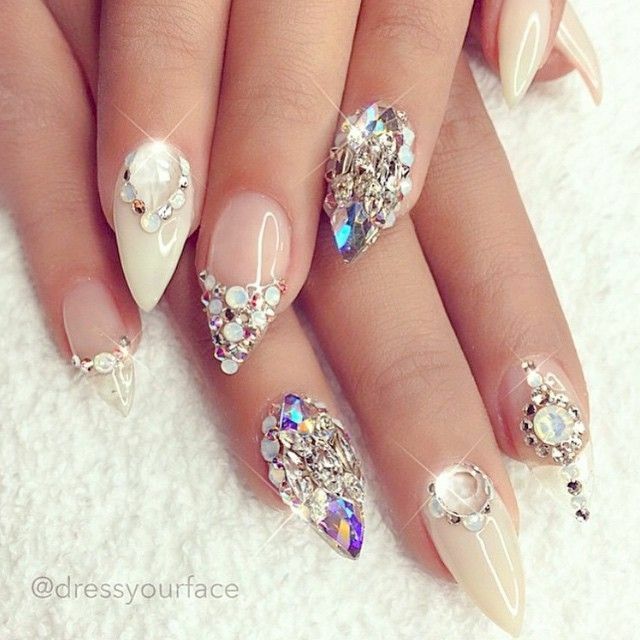 Studs and glitters with elegant white nails! 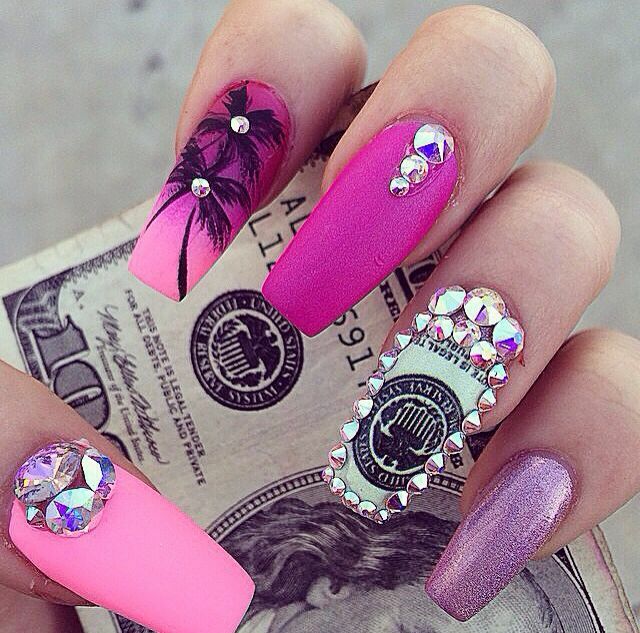 Ohhh look at these shiny nails! 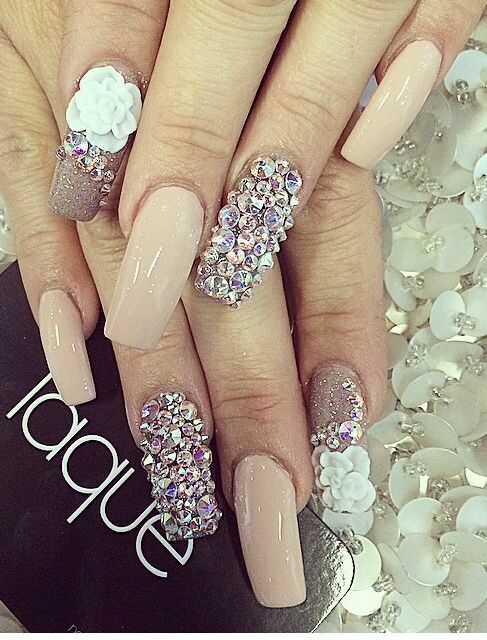 Nail art with studs and glitters! 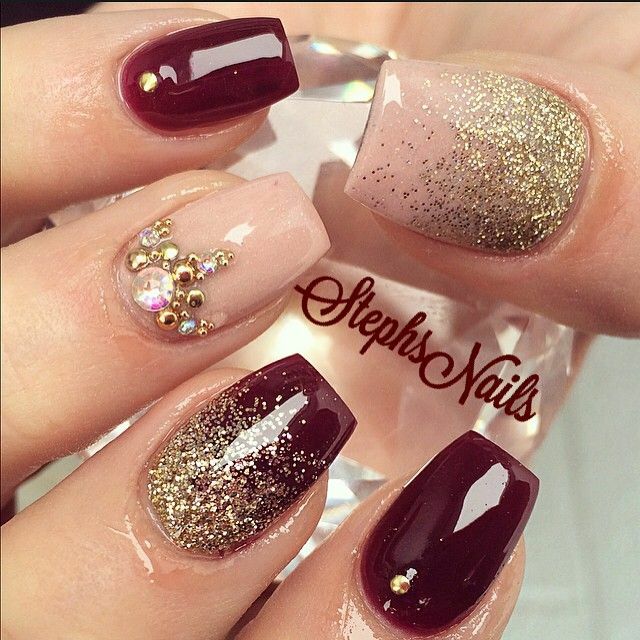 Love the wine colored nail polish! 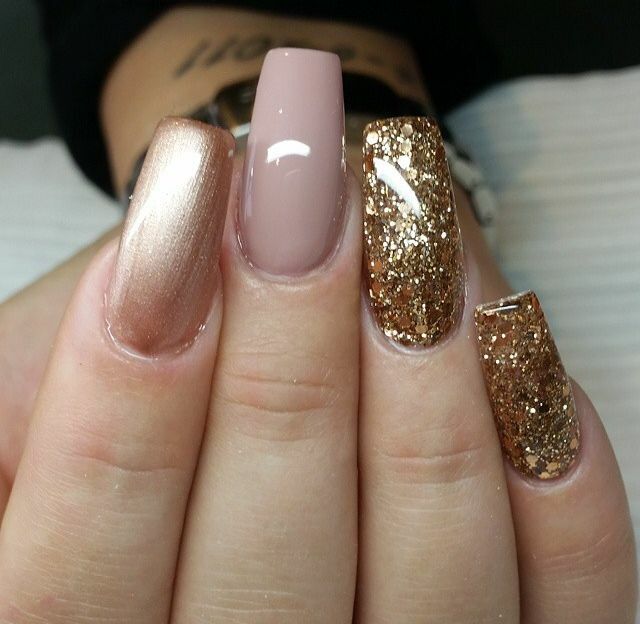 This pinky and golden glitter mani is perfect for weddings! 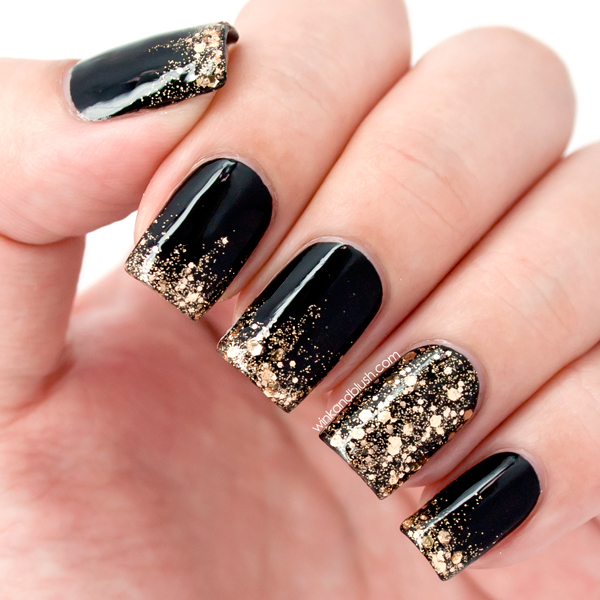 Black gold pouring down on nails! 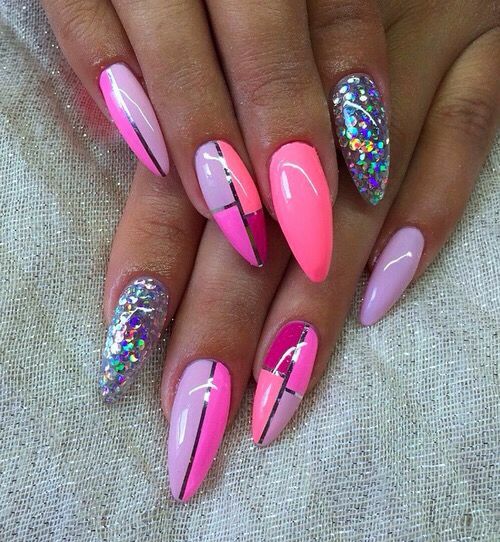 Glitter ombre gradient nail art! I hope you liked it. Try these looks or create your own. 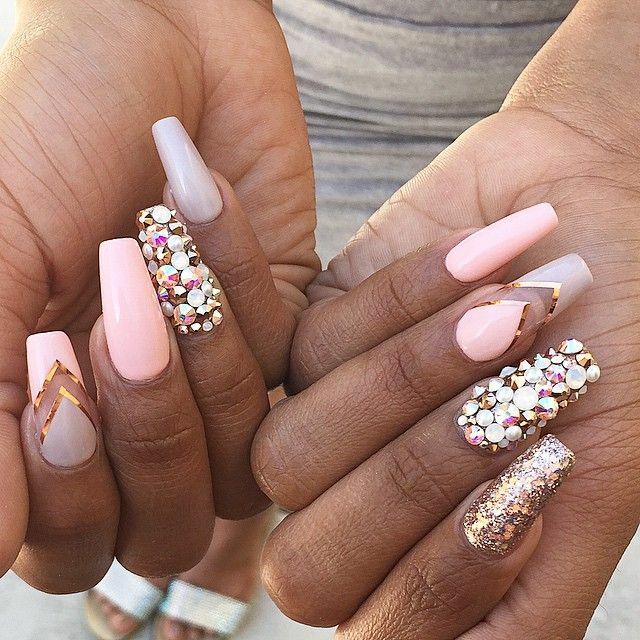 Do not forget to share them with me on Facebook, Twitter or instagram with @crazynailzz #crazynailzz.